Love Is The Air At Harvey Nichols This Valentines Day. 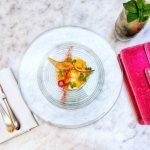 Feel the love this Valentine’s Day and enjoy three courses of indulgent food at Harvey Nichols Birmingham. Served in the store’s elegant Brasserie, the special menu has been created by Head Chef Stewart Mackie and his team to ensure diners celebrate the most romantic day of the year in style. 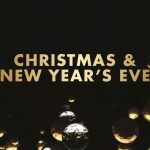 Priced at £40 per person, to include a glass of Harvey Nichols Brut Champagne, guests can tuck into mouth-watering dishes including crispy squid with chilli sauce, coriander and mango salsa; beef wellington, fondant potatoes and tender stem broccoli; and Goan monkfish butter curry, rice and flatbread. For dessert, tempt your taste buds with salted caramel chocolate fondant and pistachio ice cream or white chocolate mousse. For an extra touch of romance, sip a Love Bug cocktail, £8 – complete with a decorative heart. You can make your date even more special and spoil your loved one with a bespoke gift from one of the luxury beauty counters or fashion brands in Harvey Nichols delivered straight to your table. Simply discuss your requirements with the hospitality team beforehand. 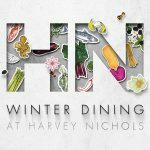 The Harvey Nichols Valentine’s Menu will be available on Thursday February 14 (from 6pm) and from Friday February 15 until Sunday February 17 (12noon-10pm). To make a reservation or for more information, please call 0121 616 6028, email [email protected] or book online at harveynichols.com. 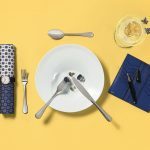 The Tastiest Treat For Your Mum At Harvey Nichols.